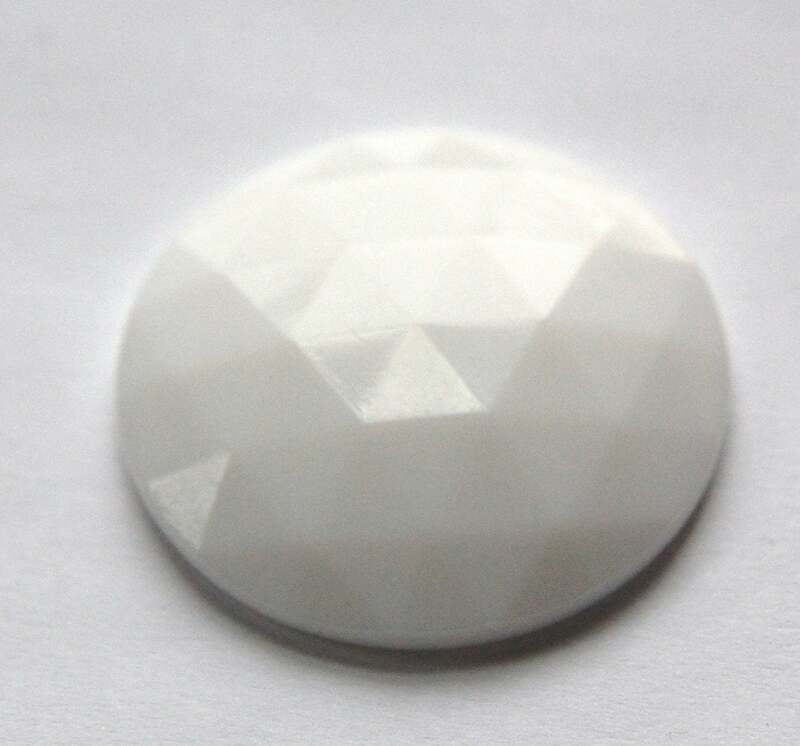 This is a large white glass faceted cabochon that was made in Germany. 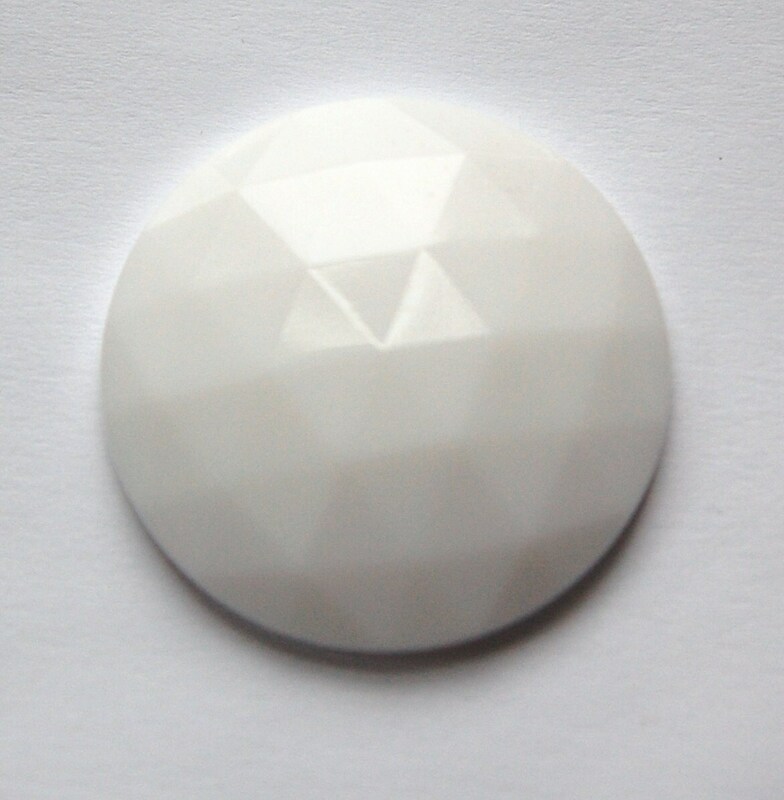 The top is covered in triangle shaped facets. The back is a button back with a center flat area and an outer rim for gluing. This measures 35mm. You will receive one of these.